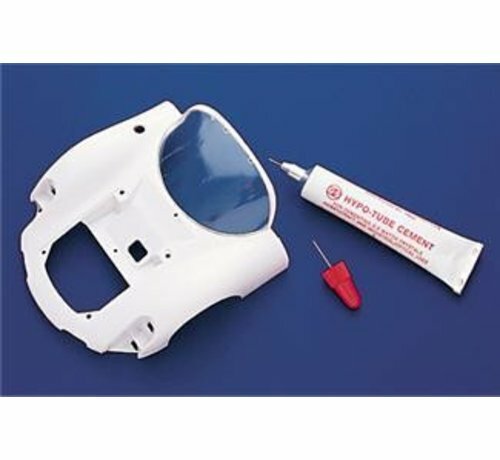 This special cement with needle point applicator is ideal for cementing clear contoured plastic canopies and windshields on airplane and car models. 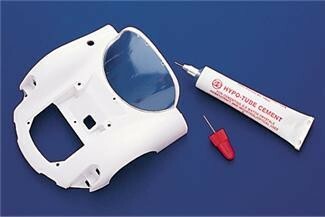 Can also be used on many other model assembly projects. Cement dries crystal clear and won't attack plastic. Uncured cement cleans up easily with ordinary rubbing alcohol. Special needle point applicator tip makes precise placement easy. Wire-in-cap keeps applicator free flowing. Cures to the touch in 15 minutes. Two 1/3 oz. tubes.